Coosto Publish Get more results with social media in less time. Coosto Engage Increase your customer satisfaction with social media. Coosto Listen Increase brand awareness and improve your reputation. Overview All our knowledge in one place. White papers Tips and tricks for social media management. Customer cases How customers use Coosto. What Are the Best Times to Post on Social Media in 2019? Instagram. A platform on which we post millions of images and videos a day. Holiday snaps. A video of that concert you went to the other night. Drinks at work. Actually, we document our whole lives. For some time now, companies have been finding their way towards Instagram. But how should you use the platform for your business? Are you going to tell the same story you’re telling on all your other social channels? Or would you prefer a different point of view? It can be tough to get a good looking Insta-feed. Therefore, we selected 6 different Dutch companies that use Instagram really well, just to inspire you. We do everything to make you smile. It’s the pay-off of online retailer Coolblue. A pay-off that is vivid on their Instagram. They post all kinds of content. Giveaways, product videos, company facts and behind the scenes photos. There’s one thing that makes their feed so remarkable: the blue and orange colours. Not coincidentally, their company colours. Looking good guys! They call themselves the most mobile bank of the Netherlands. 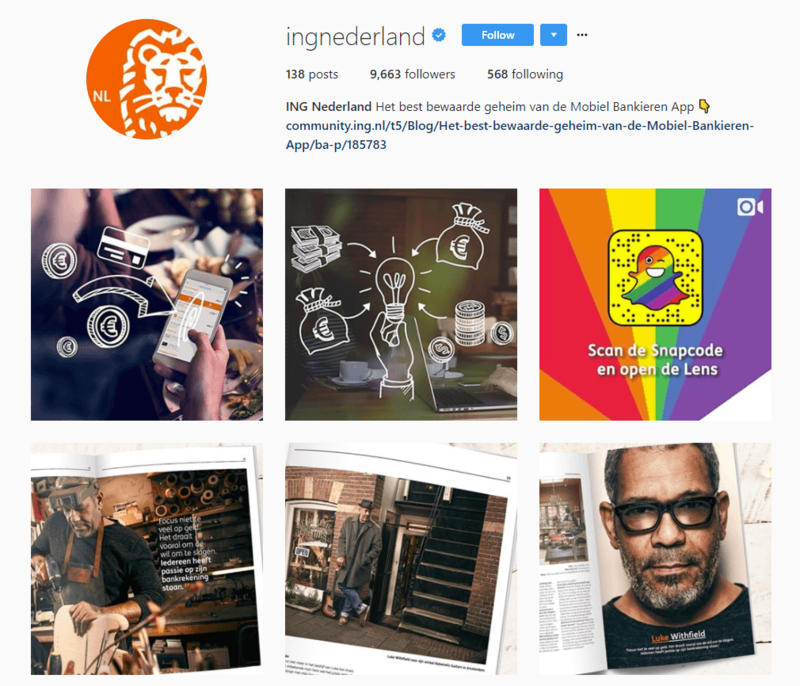 No wonder that ING Netherlands is actively using Instagram. On the platform, they tell stories of entrepreneurs, but they also show their support for social initiatives. When we scroll back in time, we see a lot of photos of beautiful spots in the Netherlands. Photos made by followers. This user generated content got its own hashtag. A perfect example of how you can create content together with your followers. If there’s one company that masters creating creative things, then it’s Heineken. Even on Instagram, they live up to the expectations. The social copies are witty, the images creative (‘Beercause of you’: need I say more?) and consistent. Their content breathes Heineken. Nice! 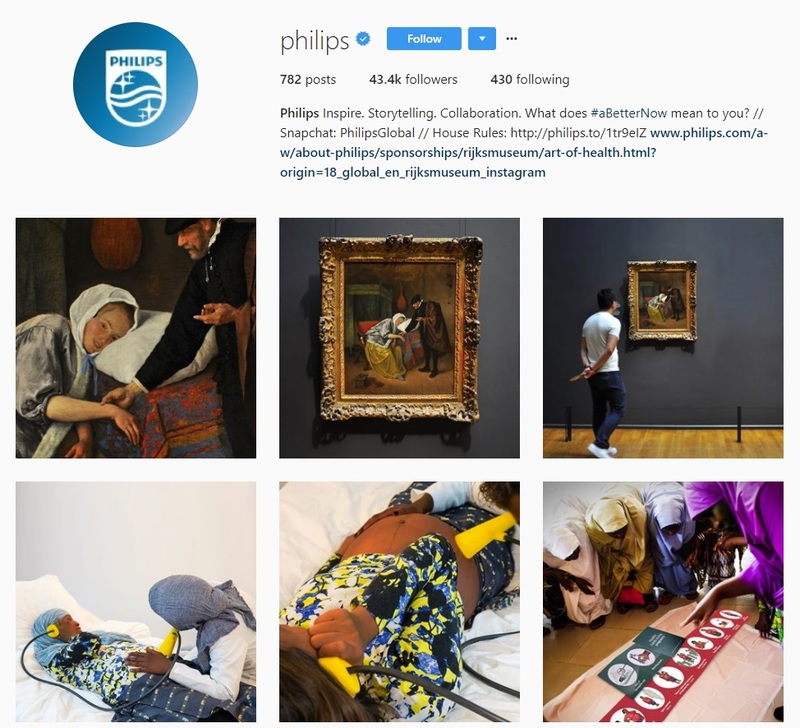 Philips use Instagram to tell a story. They want to inspire their followers. Thanks to the hashtag #aBetterNow, they create a common thread throughout their content. In that way, different campaigns spread the same message. A sneak peek. KLM, the Royal Dutch Airlines, do this very clever by using their own employees. From pilots to stewards and from tug drivers to interns. By doing so, their followers can experience just a little bit of that KLM blue feeling. 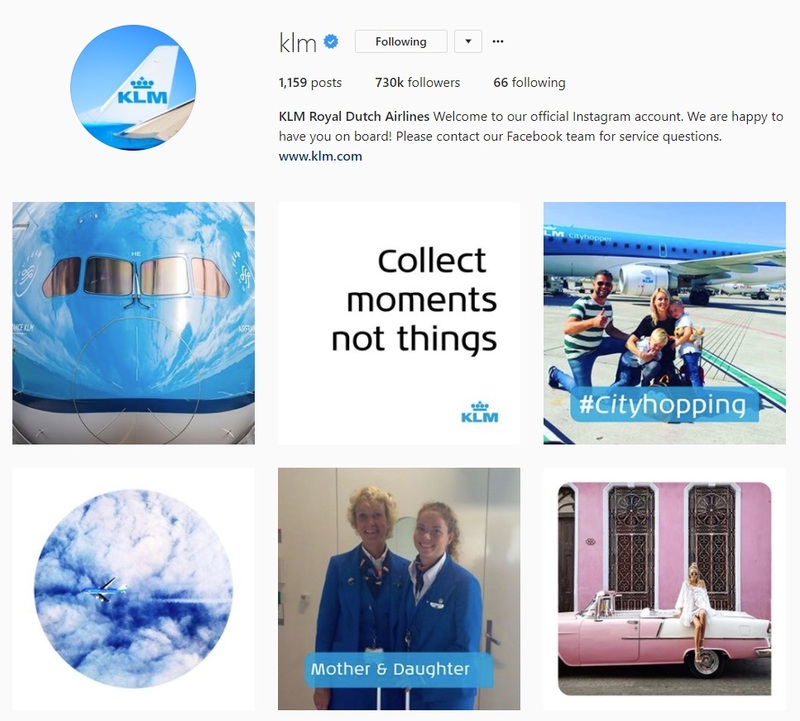 One thing’s for certain: with a feed like that, KLM is ready for takeoff! 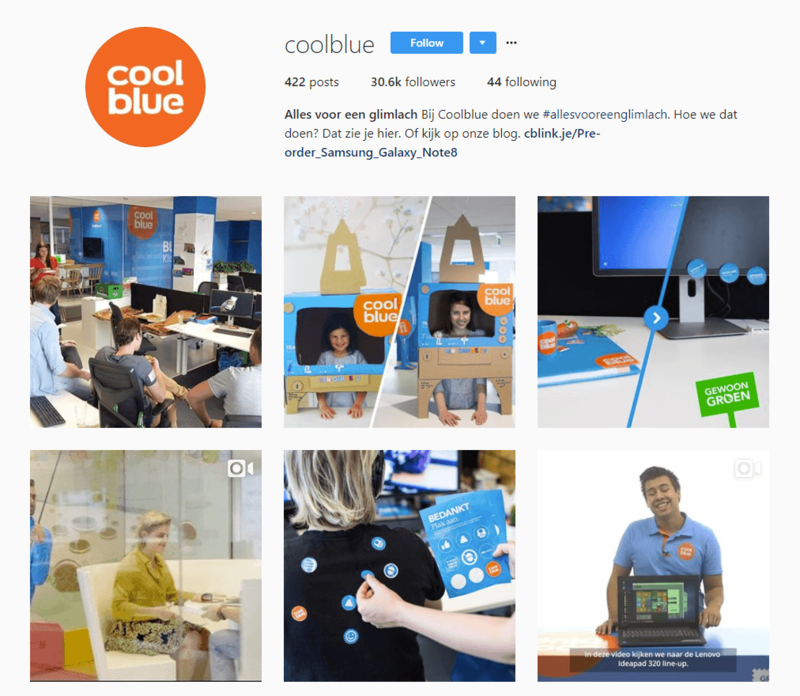 Albert Heijn, the largest Dutch supermarket chain, also gratefully use user generated content on Instagram. 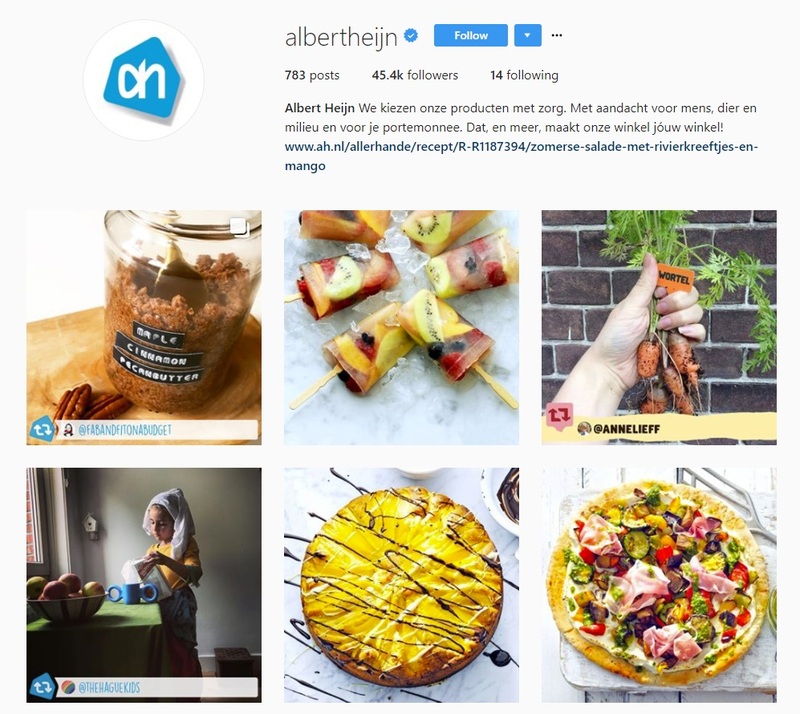 They proactively search for users that post photos with #albertheijn tags, so they can repost it. Next to that, they try to inspire their followers by posting photos of the most tasteful dishes. Recipe included. Looks delicious! The 6 companies as described teach us that you can use Instagram in many different ways. From user generated content to sharing recipes and from giveaways to exclusive sneak peeks. What they don’t publish on Instagram, is hard selling content (‘Buy me!’). Why? Simply because Instagram is not meant for hard selling. Images and videos on Instagram have the purpose to inspire and to tell a story so that your target audience notices you. 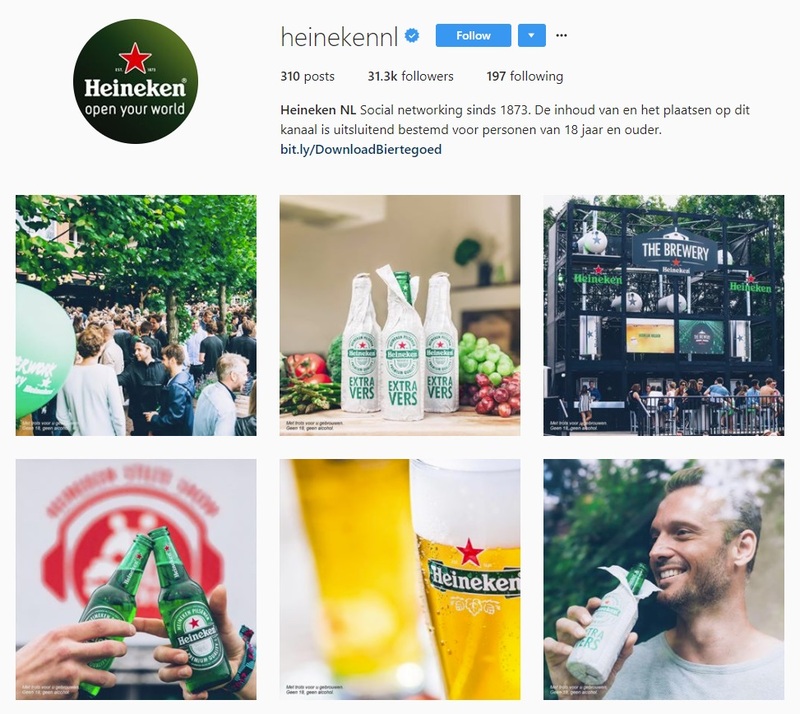 These 6 companies may use Instagram in different ways, but they have one thing in common: they all tell the story of the organisation. And ultimately, that’s what counts. Enough inspiration so far? Does your company already have an Instagram account? Or is it still a work in progress? One way or the other, it’s important to think your Instagram strategy through. What story do you want to tell? How are you going to visualise that story? And how do you want to engage with your followers? Once those questions are answered, it’s time for some real fun: creating content. And when done correctly, you might end up in the list you’ve just read. ? Would you like to receive the latest Coosto news?